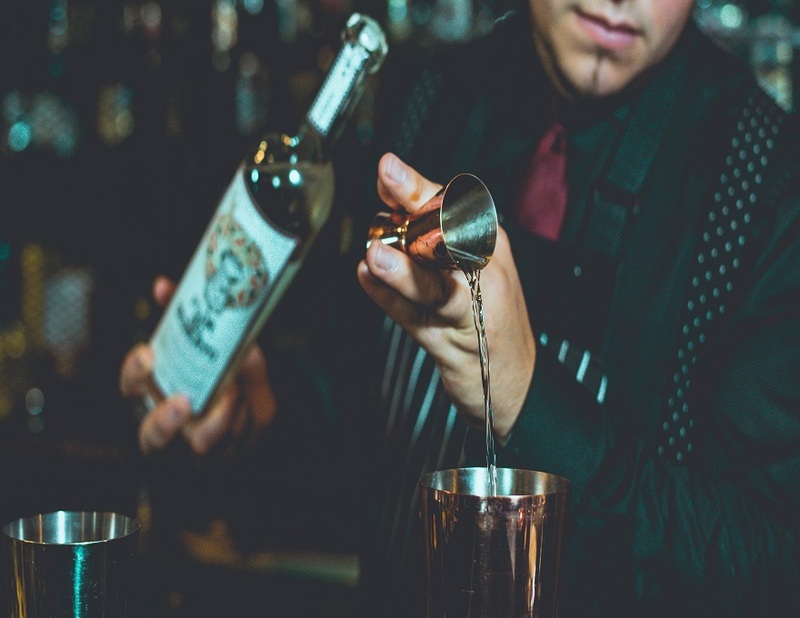 With an emphasis on precise yet fluid movements, elaborate garnishing and a touch of perfection, it’s little wonder why the Japanese style of bartending is sweeping into western culture. Sumire Miyanohara, co-owner of the world-renowned Orchard Bar in Tokyo, summed up the appeal in a recent interview with Eater, stating: “Since ancient times, we have strived to master various disciplines.” The Japanese approach to bartending is to perfect the craft, rather than to interpret it. Japanese mixology uses the finest seasonal ingredients and the best tools to “create cocktails for the moment”, according to Gen Yamamoto, a barman from Tokyo. With roots in traditional Japanese tea ceremonies dating all the way back to the 16th century, it is a craft that requires immense skill and training. Professional mixologists can even be mentored on Japanese mixology, to hone their skills in order to bring the cocktails of the Far East to western consumers. The focus? Precision, consistency and detail. Japanese bartenders pride themselves on serving exquisite cocktails, and even aim for perfection in the clarity and shape of an ice cube, such as in a classic whisky highball. And as Japanese whisky is quickly climbing the ranks, beating even well-regarded Scottish distilleries to the top spot in blind tastings, the trend is rapidly gaining traction. The first signs of Japanese mixology techniques have appeared in the United States. New York City has rapidly grown to become a hub for traditional Japanese cuisine, with many chefs and industry experts setting up shop in the Big Apple. It was here in 1993 that the first Japanese craft cocktail bar opened. Angel’s Share proudly displays a wall of fine whiskies and Japanese ingredients which are combined to create tantalising cocktails. Some 10 years later, the former manager and bartender of Angel’s Share, Shin Ikeda, opened a space in the city to celebrate Japanese bartending his own way. Today, contemporary Japanese cocktail bars are cropping up all over New York. Bar Goto, which launched in 2015, serves a handful of seasonally-changing cocktails made exclusively with Japanese ingredients. Over in Brooklyn, Karasu set up shop in 2016, with a focus on pairing exquisite Japanese cuisine with cocktails. Having heard so much from professional mixologists about the art of Japanese bartending, I was delighted to find out that there are some fantastic bars right here in London. Ukai on Portobello Road is a fantastic contemporary Japanese restaurant, with respected chefs creating some truly outstanding fusion dishes. Coupled with sake-infused cocktails and craft drinks formed with award-winning Japanese whiskies, this is a must-try for anyone who is curious about Japanese mixology. Over in East Dulwich, Yama Momo is the place to be. This modern restaurant as combined Japanese Izakaya dishes with modern European tapas-style cuisine. Look out for its Japanese-influenced cocktail list made by some of London’s top mixologists. Innovation is at the heart of Machiya’s cocktail menu in Soho. Try their sake, lychee & peach liqueur, yuzu juice and sake-yuzu foam cocktail, or their ‘Smokey negroni’, made (unusually) with delicious Scottish whisky Lagavulin 16, Johnnie Walker Black Label, umeshu, antica formula and Campari. What’s next for Japanese bartending? Our appetite for Japanese cuisine is evident in the sheer volume of Japanese eateries popping up not only in London, but across the UK. The first sushi restaurant opened in London in 1974 and now there are more than 640 in the capital, according to a report by The Telegraph, with some 3,000 in the whole of the UK. And we mustn’t forget about the ever convenient pre-packed sushi, of which supermarket giant Sainsbury’s sells around 90,000 every week. With an increased interest in Japanese food in all forms, it’s only a matter of time before the refined craft of Japanese mixology captures the hearts and taste buds of the nation. I’ll be looking out for any mixology courses offering professionals the chance to hone this craft, and sampling the results, of course!